Jose Reyes' first start of 1990 didn't go as planned. A reliever up to that point in July, Reyes gave up a run early, then gave up two home runs later, The Bend Bulletin wrote. His pitching coach Gene Dusan pointed to the transition from reliever as the trouble, according to The Bulletin. Reyes' shift to starting turned out to be brief. He saw five starts that year and one the next. Overall, he saw time in five pro seasons - and returned to starting in his final two campaigns. He never made the majors. Reyes' career began in 1990, signed by the Giants as a free agent out of his native Dominican Republic. Reyes started with the Giants at short-season Bend. He got into 21 games, starting those five. He went 3-7 on the year, with a 3.67 ERA. He also threw one complete game. He moved to single-A Clinton for 1991. In 30 outings, one start, Reyes went 1-2, with one save and a 4.42 ERA. That season turned out to be his last with the Giants. Reyes isn't credited as pitching again until 1995. 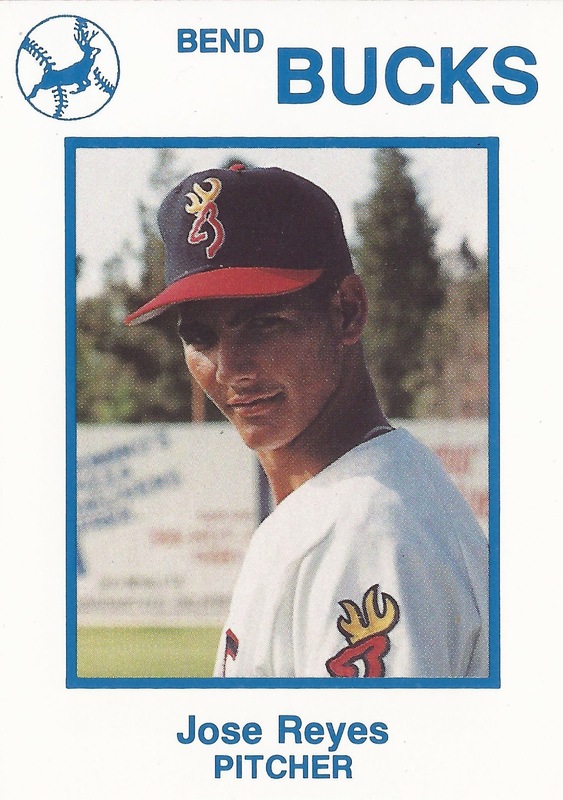 He signed with the Rangers and played between high-A Port Charlotte and single-A Charleston. He went 1-3, with a 5.23 ERA. 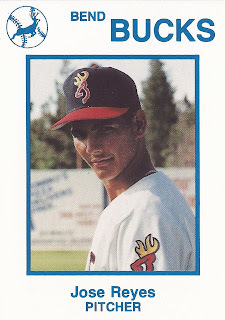 Reyes moved to independent ball for 1996 at Albany. In 16 outings, 14 starts, Reyes went 7-5, with a 2.15 ERA. He then played his final season in 1997 at independent Aberdeen. He went 8-7, with a 4.91 ERA to end his career.